But of a niche entry to start the list, The Shadow is the main antagonist of the first of The Gamers trilogy, a brief reference at the end of the second, and a shocking twist at the end of the third. A D&D villain with a unique ability, because he is able to transpose characters and players, breaching the very boundary between fiction and reality, dragging hapless people into a land of fantasy to punish them for toying with the lives of characters. In so doing he also forces mighty and powerful heroes into a world of advanced technology and mundane day-to-day life, a land with no peril beyond the need to pay bills and the threat of legal action against those who solve their problems with violence, theft, and wholesale destruction. The Shadow may be comedically brilliant, but his power is immense, strong enough to breach the limits of narrative. Among the many Planeswalkers of M:tG lore there are plenty of immensely powerful beings, manipulators of the mind, dragons who reign over worlds, inevitable assassins, dread necromancers. How do you pick an individual from among the droves of mighty characters to sit among this list? How about the guy who was last seen hopping from plane to plane killing Planeswalkers? The mightiest hunter in any world has been driven mad by a curse laid upon him, and has come to neglect the powers of nature he once upheld, given wholly to the hunt. Lore aside, +1 “Destroy Target Planeswalker”? It’s a bit niche but damn that’s a mad power. 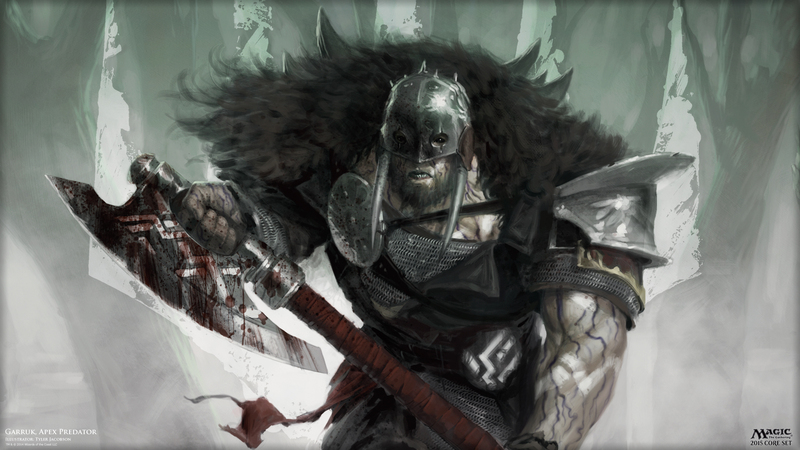 How about Garruk the Slayer: -10 to destroy a creature and regain points equal to the toughness? Nice hydra, gone now. Any green deck benefits from having him around for his ability to spawn a host of hefty beasts, and for black decks the power to simply erase certain elements from the field is perfect. It’s a blend of mechanics and lore that make him terrifying in story and in a deck. Let me start off by saying that, technically, Arceus isn’t truly the “best” at any one particular thing, but if we’re going to get canonical and talk about how powerful a Pokemon can be, you really needn’t look much further than Arceus. 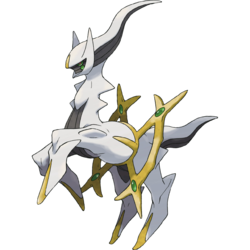 Deemed the ‘God’ Pokemon, Arceus is the reason that life itself exists within the world. If you don’t deem that powerful, then you’ll not find anything to have any power in Pokemon. Alas, just because he’s the most powerful doesn’t mean he’s the strongest in any particular aspect. Just look at the Top 300 highest attack stat Pokemon and, as of Gen VII, it sits all the way down at number 121. So, whilst it doesn’t boast the highest attack stat, or the biggest of any stat, it certainly has to be the most powerful when you consider the flavour text of its Pokedex entry. A Demigod versus another Demigod? Hoo boy, this match is going to be brutal! What happens when you blend Hindu and Buddhist mythologies, then add a sci-fi spin to it? 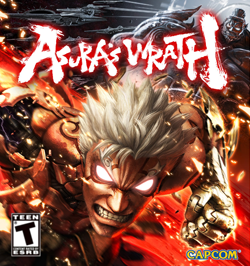 You get Asura’s Wrath, an violent beat-em-up, where you play as the titular Asura. With nothing but rage and wrath to fill his heart, Asura sets out and beats the ever-loving crap out of anything that gets in his way; especially other Demigods – and boy does he make it look easy? The God of War himself! Kratos is able to beat up gods as if they were mere men. 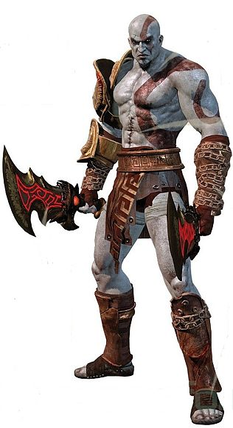 Kratos is one of those characters that needs barely any introduction; a character who has become so iconic for what he’s best known for, that it’s rare you need to show anyone an image, or even an article. Kratos is able to punch holes in mountains, then tear it down – It’s fair to point out that this God of War is more powerful than even the games let on. You may call it The Truth, or God, or any other name you feel like, but this omnipresent being is always ready to tell you about the truth of the world with a smile on its face. Being a pure white energy, with seemingly unlimited power, The Truth is equal parts creepy and amazing. If you ever thought you knew anything about the law of equivalent exchange, there’s no doubt this being would set you straight. Whether or not you’re human, or homonculi, you’re not free from The Truth. Anyone who is retrieved from beyond the door has a price, which The Truth will be more than glad to receive payment for. It doesn’t matter how powerful you are, it doesn’t matter who you were in life. All that matters is that you end up paying up, no matter what the cost might be. Lower on our list only because we don’t know exactly how powerful this being is; not really. This makes it hard to judge against our more obvious candidates below. So, Gandalf died. Then Gandalf came back from the dead. 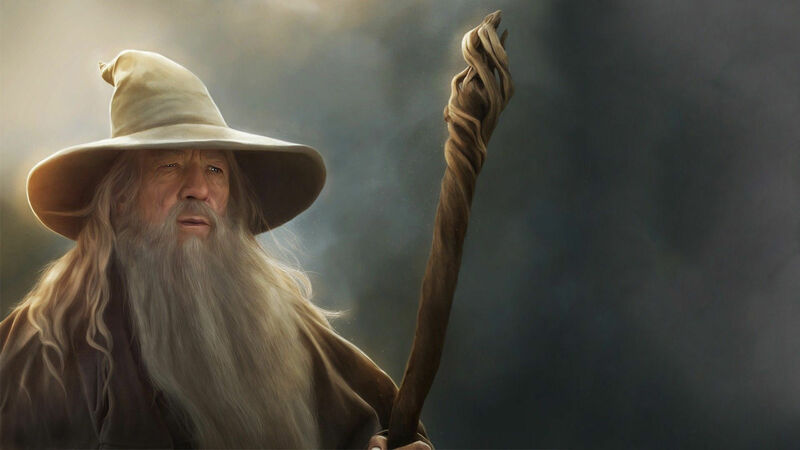 Gandalf came back even more powerful. Sauron turned into an eye. Okay, a powerful eye, but he was destroyed by throwing some jewellery into a volcano. All in all, Gandalf’s one of the few remaining Maiar left in Middle Earth, but when he was brought back from the dead, he arose even greater than he ever was – An amazing, yet terrifying prospect, to be sure. Death with a capital D, an omnipresent being that arrives in time for The End. Though he is bought but a manifestation of a process that should happen without him, and he is bound to the duty of witnessing the passage of the departed from life to what awaits after, he has demonstrated one ability that makes him supremely powerful. He has made decisions in defiance of his nature. Death cares, sincerely, about life and those who live it. Though his duty is to attend the end of life, he still cares deeply about the life that was lived. Being instrumental to the process of life, his disappearance causes death (the process, not the anthropomorphic personification) to cease to function, causing rampant undeath and uncontrolled explosions of life. His power is to maintain normalcy, which… on the Disc is no small feat. If you thought Saitama wasn’t making this list, you’d be mad. Technically speaking, Saitama has limits, which is why he can only really get to the third place (for reasons you’ll see in a moment). 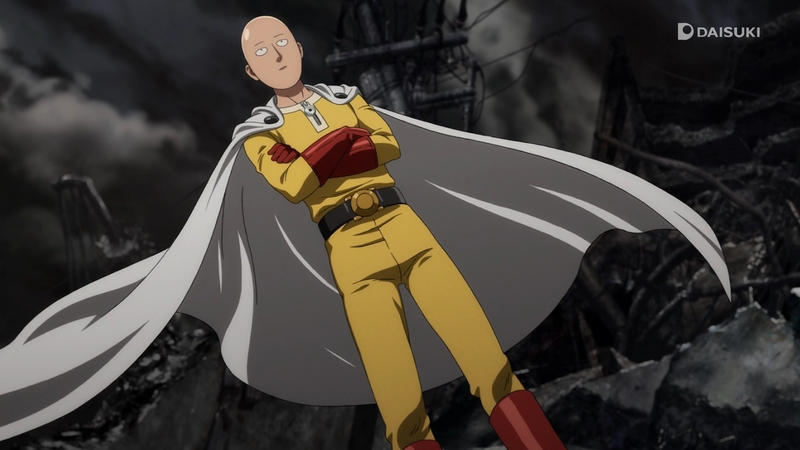 Saitama does indeed have a finite pool of energy he can tap into, before his potential is finally depleted, but don’t let us fool you into thinking that he’s some pushover – As he was created to parody the likes of Goku from Dragon Ball fame. … But at least Saitama can entertain us all. This list has taught me something – If you want to make a character that’ll grow too powerful, just make a physical embodiment of death… Like Nekron (or the aforementioned DEATH). 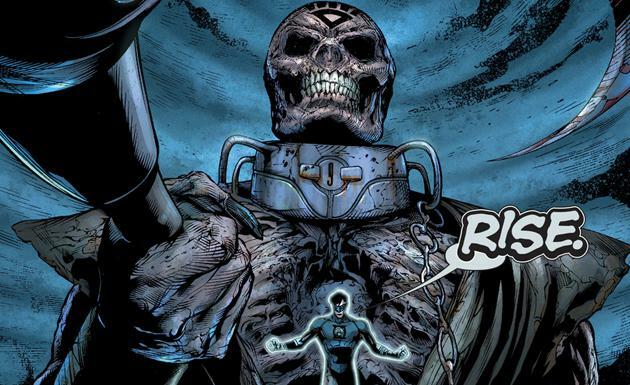 Yes, Nekron is indeed DCs version of the Grim Reaper – And he only has one weakness which is that of a white lantern. Nevertheless, ignoring his one and only weakness, it’s fair to then assume that if any hero (or villain) fought Nekron, they’d likely be on the losing end. Nekron’s powers come from everyone who has ever died… Which means that every single being that has died he can draw power from. Therefore, the limit of Nekron’s powers are unknown. When you come up against someone that can command the power of the souls of the dead, can reanimate corpses and create large undead hands from the ground, you know you’re in for a losing battle. The mutant son of Sue Storm and Reed Richards is basically god. No lie, the kid has rapidly developed the power to manifest every thought into reality, and as he came to understand the implications of that ability he has been able to create dimensions, alter the fabric of reality, travel through time and is either functionally or factually immortal. He is the only human to have been considered equal to a Celestial, having once rebuilt Galactus, herald of Richards. There are others, of course there are, Nate Grey, Gabriel Summers, Mr M, human-ish beings capable of unmaking reality and creating something new, where Franklin has an edge is that like his father, he works best with himself, through time and across universes, coming together to help each other out and fix one another’s problems. Another day, another character throwing their weight around until their opposition is no more. Ah well, I guess we can relax a little bit, as these next two mentions aren’t necessarily as powerful as the ones above, but my gosh, they must be at least in the same league as some of the entrants above. Ware thee who’d tangle with a goat unhinged and deranged, there’s a devil in its eyes, and it can ride a bicycle. The Goat sounds odd, but at its most basic the hircine beastie can perform feats any of us should worry about, being able to jump back up after lethal falls, dragging heavy objects along with only the adhesive strength of its tongue, and a headbutt capable of flinging ragdolled people great distances. 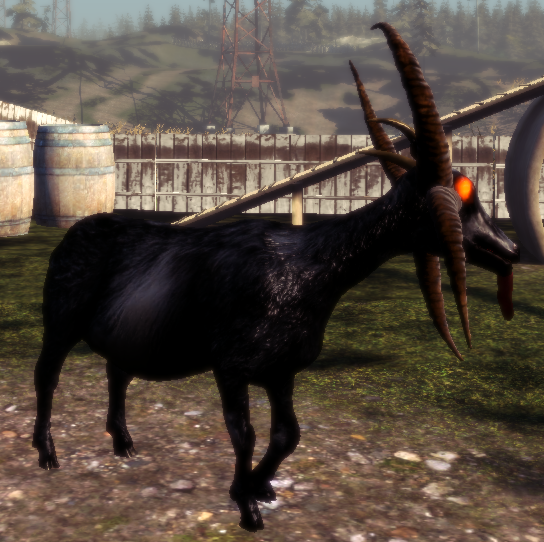 Then we come to unlocked abilities, like the power to summon storms with a bleat, the power to summon piles of dead goats, flight, or the power to force people to dance endlessly with only a thought. Let’s also not forget the fact that our last defences are useless, no longer can we climb ladders to escape, nor will we find relief in space, it knows how to pilot small space ships! 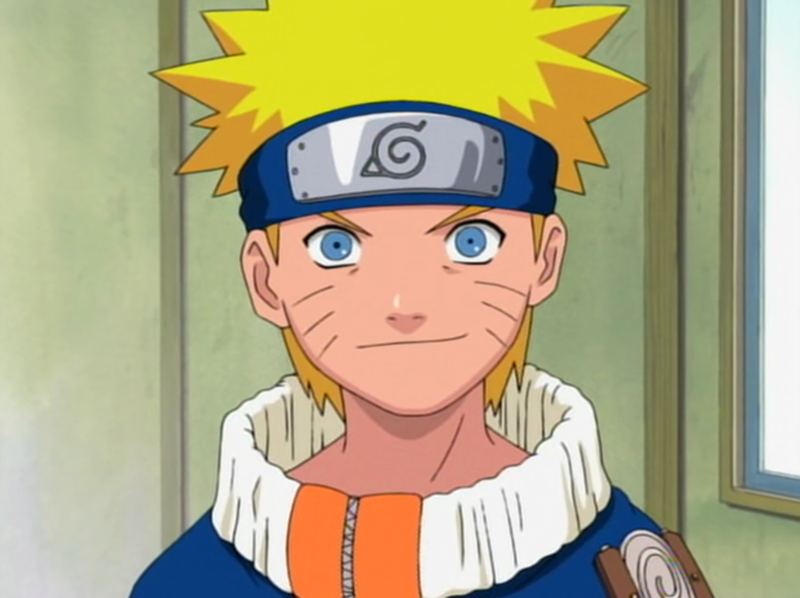 Pardon us for pointing this one out, but there’s never any question who’s going to win in a fight, because even if it takes a montage and a filler arc or two, Naruto/Ichigo/whoever is going to come back with another new super-power. There’s always another level of Saiyan, another Jutsu, and it’s never their final form, and how odd that it’s always “too dangerous” which is why I never told you before now and yet it’s always fine in the end. Sure, maybe we’re being a bit mean; Shonen Jump does have a lot of different properties in their stable and not all of them conform to the same tired stereotype, but dammit there’s a stereotype for a reason! That’s it, I’m done with all of this quaking in my boots. These characters are unbelievably overpowered, so I’m going to get myself in that hyperbolic time-chamber and get training. 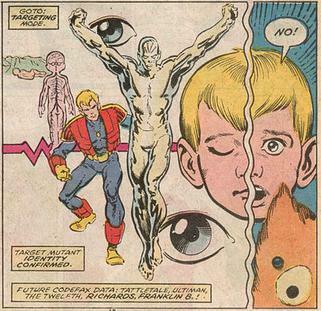 I shall surpass those guys… But uh, perhaps… Not Franklin Richards. I’ve not got a clue how we’ll beat him, or Nekron… Or Saitama. Not even DEATH. Or Gan- You know what, I take it back, just vote for next week’s list whilst I wallow in shame. That’s it for another week, we can all take solace in the fact these folk aren’t out to kill us – But I wonder if you think these guys were truly the most powerful, or if you think that there are potentially more powerful characters out there. Share your thoughts with us down in the comments below, or over on Facebook and Twitter. This entry was posted on February 9, 2019 by GeekOut Team. 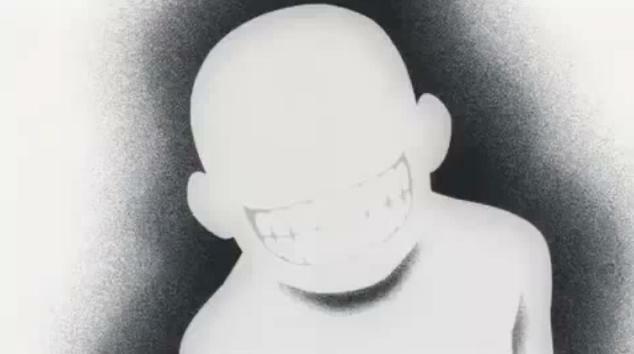 It was filed under Anime talk, Entertainment, Film, Gaming posts, Literature, Video Games and was tagged with Arceus, Asura, Asura's Wrath, Characters That Are Too Powerful, DC, Death, discworld, fantastic four, Franklin Richards, Fullmetal Alchemist, Gandalf, Garruk, Goat Simulator Goat, God of War, Kratos, Lord of the Rings, Magic: The Gathering, Nekron, One Punch Man, Pokemon, Saitama, Shonen Jump Protagonists, The Gamers, The Shadow, The Truth, Too Powerful, Top 10. Great list as usual. Glad The Truth got a place. I always thought the Millenium Earl on D Gray Man was way too strong (admittedly we don’t see a lot of fights with him directly but I’m firmly feeling like the odds of the exorcists ever winning that fight are pretty much stacked against them). Kogarashi, the Maid Guy in Kamen no Maid Guy. He is ludicrously powerful, to the point that he has 32 senses, can levitate, make his hair grow and entangle people and even come back from the dead. It’s all played for jokes of course, but dear lord is he powerful. The God Hand from Berserk is right up there as well, each around the same level as some of Marvel’s reality altering mutants, and there’s 5 of them acting in concert. The Terrasque is too much, no matter the D&D edition. When the only way of MAYBE, KINDA, SORTA stop you is with a Wish spell and/or divine intervention and the likeliest scenario is that you’re just gonna go back to sleep, then you know you have an overpowered monster.